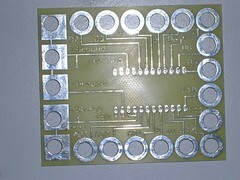 the actual board layout sits on the backside. I connected the reset to 5V to prevent random resets. 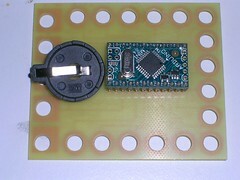 Once I tested it I will blog the eagle files. these new developments are simply fantastic, I think we are heading the right way. I’m looking forward to see more of that..